KUALA LUMPUR: They say that health is wealth, and nobody ever realises the truth of this until they fall seriously ill.
You lose control of your body; you feel your mortality; you endure “indignities” in the search for a cure. You want to get back to your former self. That’s when your healthcare options become an all-encompassing issue. The definition of healthcare differs depending on who you speak to. For the man on the street, you expect a simple reply such as “make me better” or “fix me”. In a country, it’s about balancing finances and better health for all. If it’s the World Health Organisation, concepts such as reducing exclusion and social disparities, catering to people’s needs and expectations, and public policy reforms are included. At any rate, whether it’s a global, state or personal viewpoint, one component that is always integral in healthcare is the provision of medical services. Sunway Group Healthcare Services managing director Lau Beng Long offers another perspective on healthcare from the view of a private healthcare provider (SunMed) – one that is very much defined by fulfilling the expectations of “customers”. “Healthcare quality is defined by two parameters: the patients, who are our ultimate customers, and also our secondary customers, the doctors who render direct care to our patients,” he says. From a patient’s point of view, cure from disease is the ultimate aim. If that isn’t possible, then a patient looks for good care, as well as emotional and psychological support. A patient also expects good customer service (e.g. reasonable wait times, courtesy accorded to them from hospital personnel) and affordable charges. Medical tourism has become an important element of healthcare in the local healthcare landscape. It is also one of the sources of revenue to diversify the economy as identified by the Government. After all, patients have the option of government hospitals, but they opt for private care because of certain expectations, and aside from the clinical services rendered by doctors and nurses, that includes exemplary customer service. “If we can meet all these expectations, then we have rendered quality healthcare,” observes Lau. From a doctor’s point of view, a good and modern physical facility has to be clean, safe and hygienic. In terms of technology, there’s no escaping the fact that tech in health offers you a great advantage when it comes to diagnosis and treatment. The provision of quality healthcare also requires good and competent support staff – nurses, radiographers, pharmacists, laboratory technicians, etc, who are able to provide efficient and accurate support and results to the doctors. For example, if a patient’s status in the hospital changes, the nurses would need to promptly inform the doctor as the doctors are not physically at the hospital all the time. These are the areas of quality doctors look for – clinical excellence, infrastructure and technology support. Lau states that in order to be one of the premier private medical centres in South-East Asia, no expense should be spared in providing excellent, quality care to patients. This can be done by tracking service delivery. “It’s the way you structure your services. We have to make sure that we plan and execute the best services in terms of clinical services, as well as operational services,” he shares. “We have to make certain that the services we provide, whether it’s medical, nursing, technological, is of exemplary standard. So we invest in the latest technology and we ensure competent staff, which means that relevant staff always have continuing education or retraining to make sure that their skill sets are up to date,” he explains. To ensure that services are up to par, Lau adds that an operating system needs to be in place to monitor how things are done. “Policies need to be in place, and all processes streamlined to enable us to improve. We always look to reengineer processes to make them as efficient as possible,” he says. “All incidents in the hospital are in the incident report, which is raised by staff as well. Staff themselves will raise it if there’s an incident – how we should improve. All such feedback drives improvement,” he adds. However stringent the internal processes to ensure quality, one is never certain that standards are achieved unless you benchmark yourself. This means you subject yourself to evaluation from an outside source to rate whether your service is of the highest quality. With healthcare providers, there are various organisations that provide accreditation. In Malaysia, the Malaysian Society for Quality in Health (MSQH) is a non-profit developed by the Health Ministry, alongside the Association of Private Hospitals of Malaysia and the Malaysian Medical Association. It is an accreditation organisation to improve the quality of healthcare in the country, by which SunMed is accredited. Internationally, the Australian Council on Healthcare Standards (ACHS) is an independent, non-profit organisation that is an approved provider of accreditation to a range of Australian healthcare providers. It is recognised by the International Society for Quality in Health Care for its organisational framework, accreditation programmes and surveyor training. ACHS has exported its accreditation programme to 18 countries overseas. Medical tourism has become an important element of healthcare in the local healthcare landscape. One of the sources of revenue to diversify the economy as identified by the Government is medical tourism, so “there’s a push for that now”, says Lau. In fact, the International Medical Travel Journal (IMTJ), a medical tourism magazine based in Britain, rated SunMed “the top international hospital for foreign patients” this year. In the IMTJ Awards 2017 held in Opatija, Croatia, in April, SunMed triumphed in the categories of International Hospital of the Year and Best Quality Initiative – Highly Commendable. The awards were judged by a team of 23 judges from around the world. In addition, SunMed was among three nominees for the award of top medical tourism hospital in the Asia Pacific. The awards were jointly organised by AB Bernstein, a leading American investment and management firm, and the Hong Kong-based Global Health & Travel (GHT) magazine. The other two nominees were Singapore’s Mount Elizabeth Hospital and Bangkok’s Bumrungrad International Hospital. In a changing world, with shifting demographics and the availability of health information at the click of a button, the practice of healthcare has to evolve too. “People are living longer with the advancements in healthcare. More of the elderly are expected to consume healthcare, so hospitals have to be ready for that. 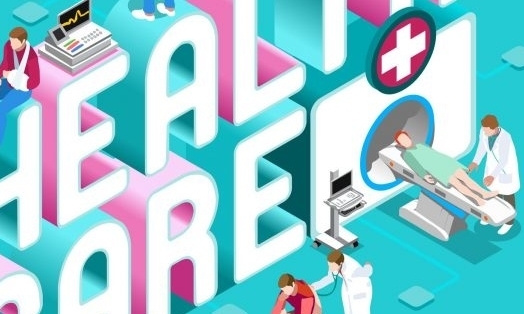 And it’s not just treatments and cures, but also rehabilitation, geriatric medicine, palliative care, cancer care… hospitals must be able to respond to that,” observes Lau. “As a comprehensive tertiary hospital with complex treatment services, we obviously need to have specialised services such as cardiac, neuro, stroke, cancer treatment. We’re also laying the groundwork for a proper geriatric unit to be set up, a palliative unit and a comprehensive rehab unit. We will always consolidate and upgrade in terms of our core tertiary services,” he says. “Unfortunately, part of the changing demographic involves more cancer patients, so we’ve invested substantially in our oncology arm,” he adds. This includes purchasing advanced surgical systems like TrueBeam STx, INTRABEAM Intraoperative Radiation Therapy (IORT), SPECT-CT and Gamma Knife. In terms of cancer, we’ve spent close to RM70mil for diagnostic and treatment equipment,” says Lau. In a healthcare landscape that’s rapidly changing, SunMed has evolved too. After all, it’s all part of the vision in becoming, in Lau’s words, “the Mayo Clinic of the East”.